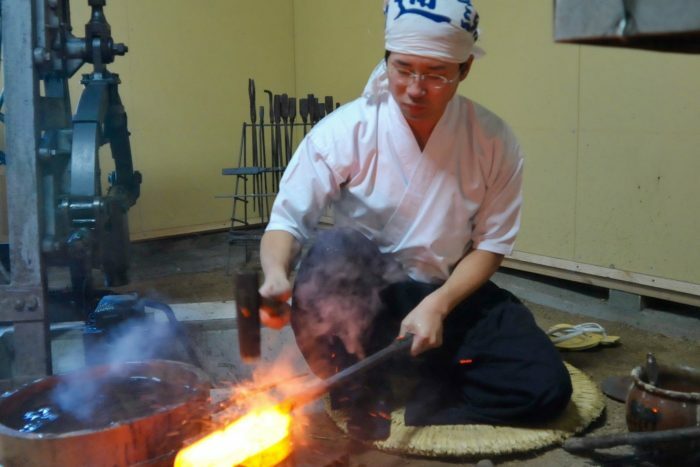 Try indigo dye experience and a farmhouse stay | Why KYOTO? 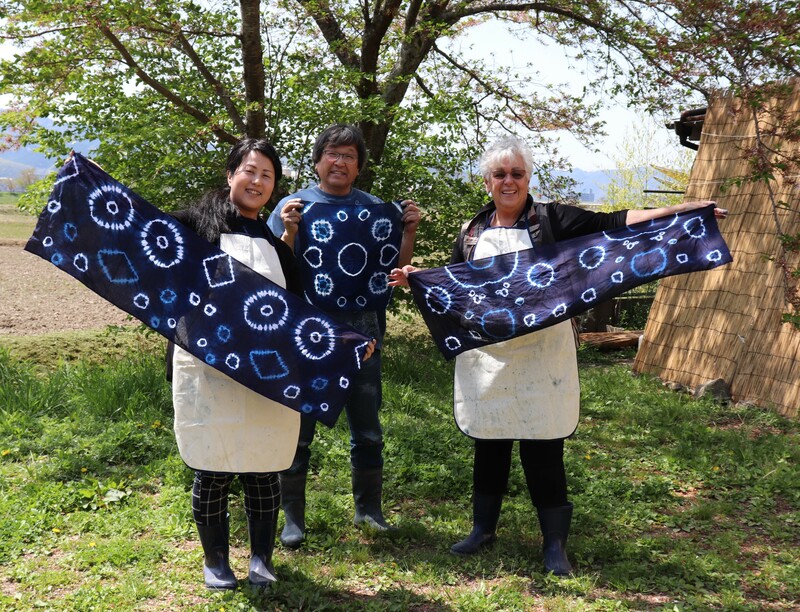 How about trying “Japan Blue” – the indigo dye experience – and staying at a Japanese farmhouse in Kameoka, just outside Kyoto City? The journey to Kameoka starts from JR Kyoto station (20 min. ), or from Saga-Arashiyama station (10 min. ), famous for its bamboo groves. 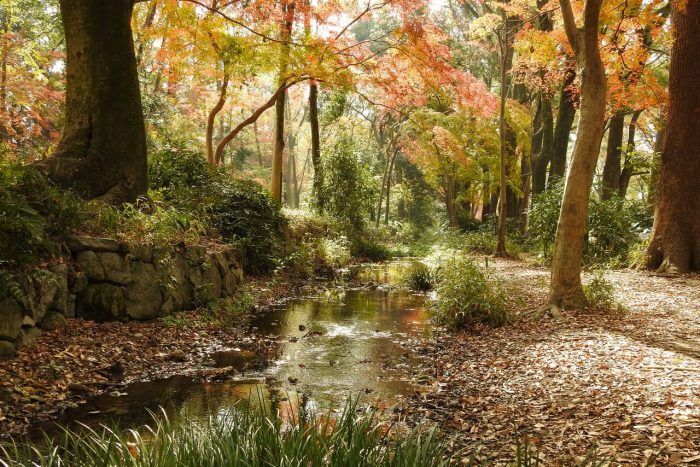 In this peaceful rural area, you can experience traditional crafts and a Japanese-style farmhouse. 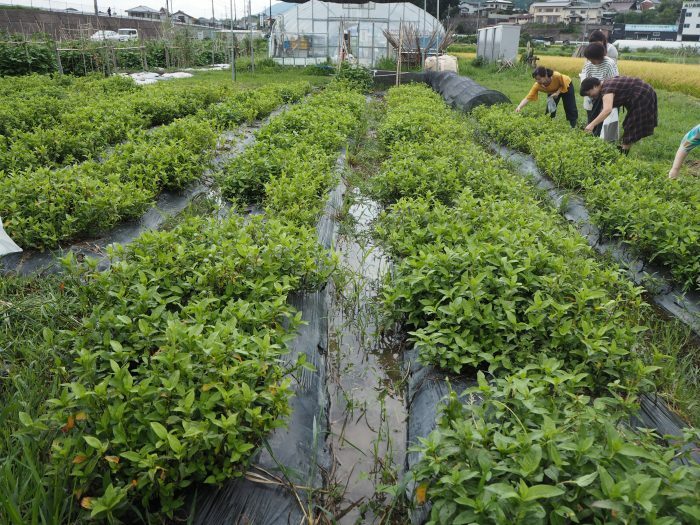 Only a 5-minute drive from JR Kameoka station, you’ll visit nature-rich Hozu-cho, crossing the Hozu River, renowned for its scenic river boat rides. 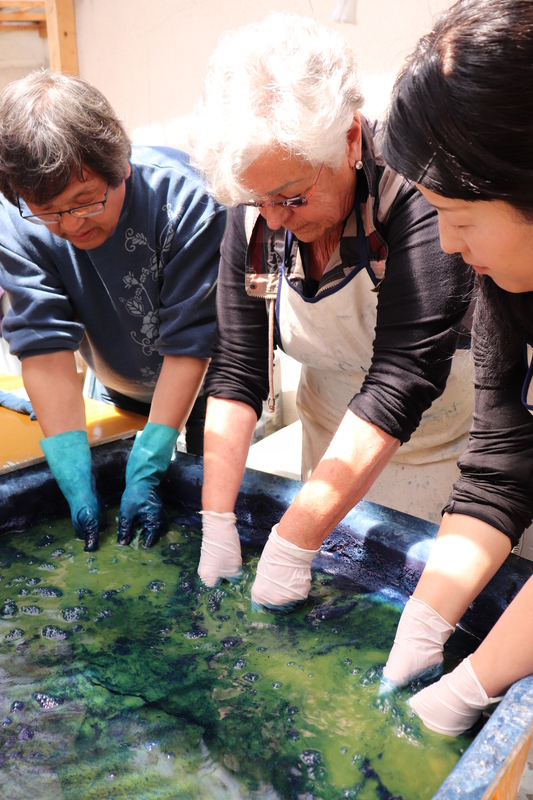 You’ll enjoy making your own indigo dye wares. First, draw simple designs such as circles and squares in a cloth. Squeeze the cloth with rubber bands. Immerse it in water, and soak it in indigo solution. 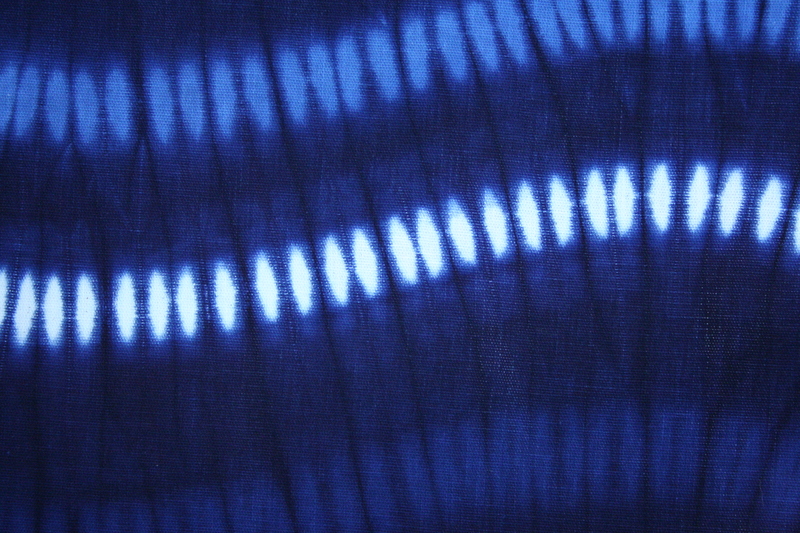 Repeat the process of immersing the cloth in indigo solution and washing it with water several times, and the work is completed! 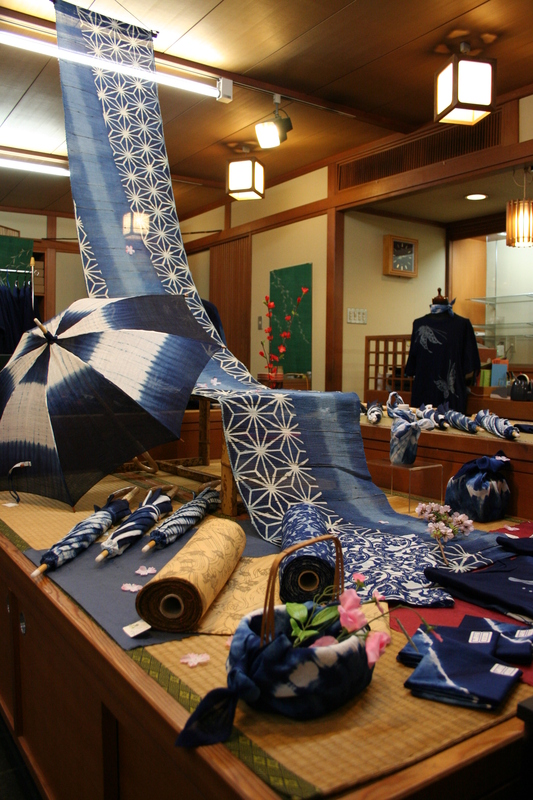 It is sure to become an unforgettable memory of Kyoto.You can also purchase rare indigo tea and indigo dye work. Closed : Sat., 5th Sun. 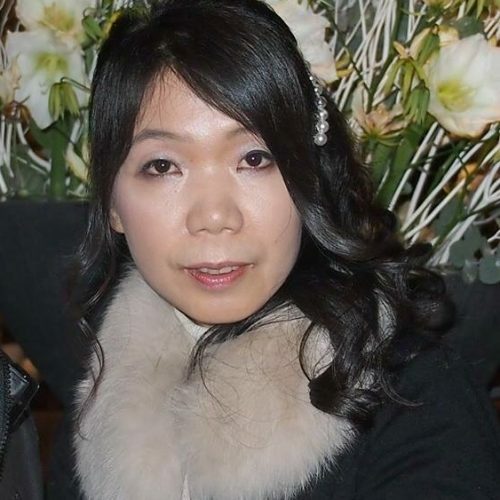 Price: handkerchief ¥ 1000 (1 hour), stole ¥ 2000 (1 hour), T-shirt￥3000(2 hours) etc. 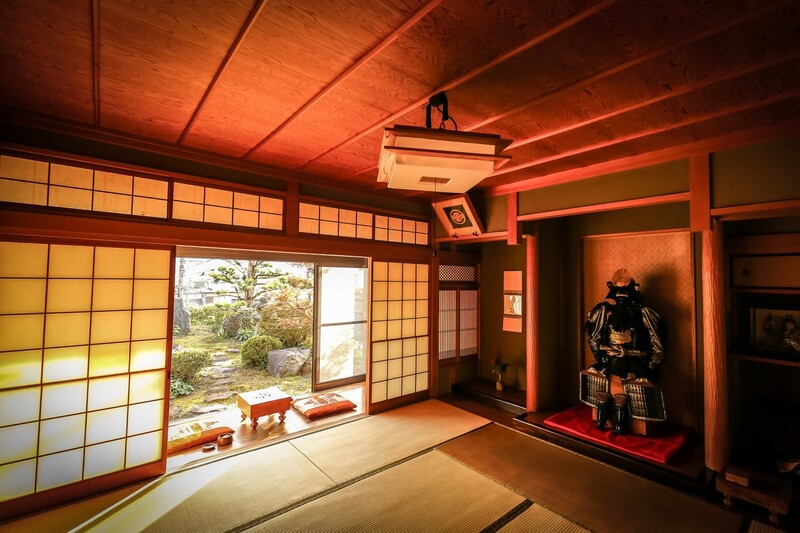 Within a 10-minute walk of the Hozuai Institute, you can stay at a traditional farmhouse. 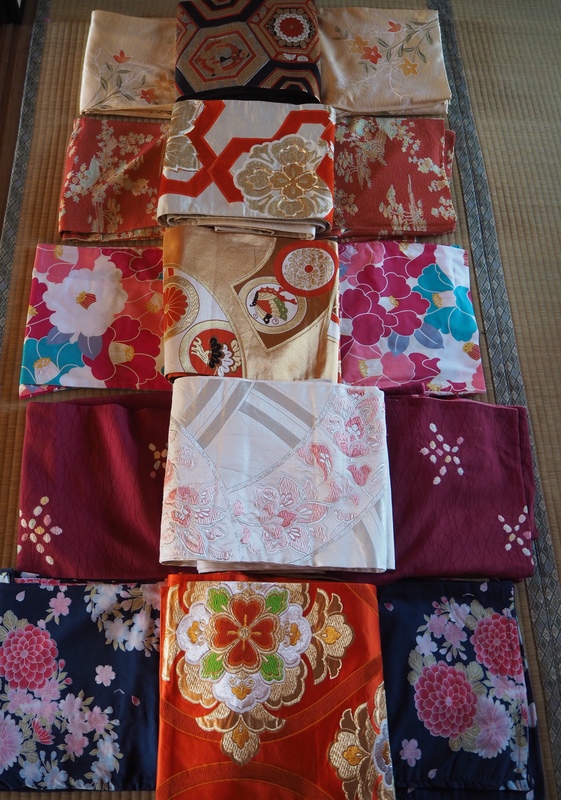 They offer a seasonal farming experience, and options can be added upon request: Trying on traditional Japanese armor (¥500); kimono dressing (¥500); and a tea ceremony (¥1000). They also offer breakfast and dinner if you wish. 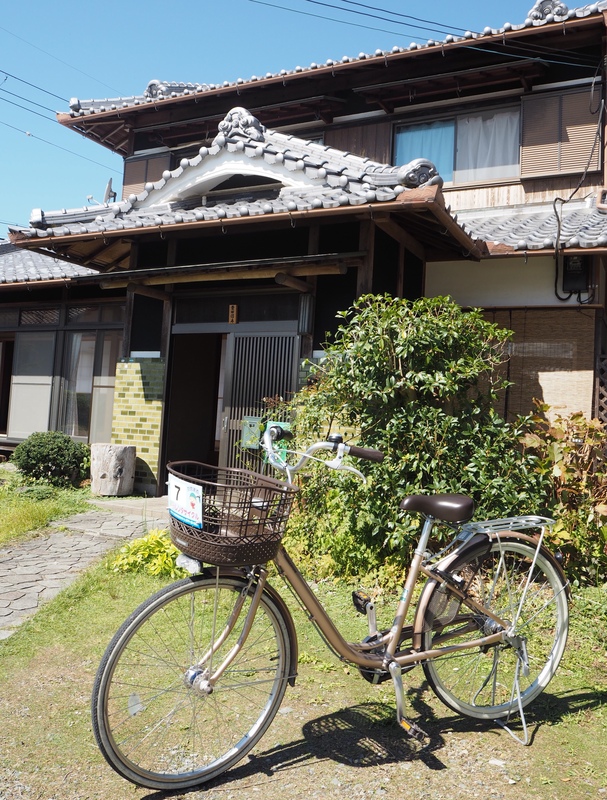 There are four rental bikes available, and you’ll have fun exploring the Kyoto countryside! Rent-a-Cycle at JR Kameoka station for one day trip. Taxi stand in front of the station.